The third match of group B between the Korean women’s national handball team and the Netherlands held at Future Arena, Rio de Janeiro, on August 11 (Korean time), ended in a draw (32-32), granting the Korean national team the possibility of advancing to the quarterfinals. The Korean national team was not in a favorable situation when playing the match with the Netherlands. The key player Kim On-A (28 years old, SK Sugar Gliders) had returned home after suffering an injury during the match with Sweden. The Korean national handball team replaced Kim On-A with Song Hae-rim (31 years old, Seoul City Hall), who won the gold medal in the 2008 Asian Championship. 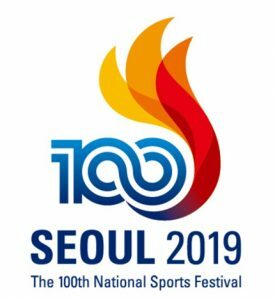 At the beginning of the match, the Korean national handball team took the lead with a score of 7-4, as the flank attack by Choi Soo-min (26 years old, Seoul City Hall) took a favorable turn, but just 10 minutes into the second half of the match, the score became 21-26. Kwon Han-na (27 years old, Seoul City Hall) gained a foothold to chase the opposing team by succeeding the 7-meter throw twice in a row, and closed the gap to 28-29 with only 8 minutes left in the game. The Korean national team leveled the score at 32-32 with 43 left in the second half, but right before the final whistle, the Netherlands was granted a 7-meter throw as a result of a defensive fault by the Korean team. Oh Young-ran (44 years old, Incheon City Hall), the oldest member of the Korean national team as well as a veteran handball player, kept the score even, however, blocking the ball with her whole body. The Korean national team was anticipated to have a difficult match due to the missing of a key center back, but the team ended the game in a dramatic draw through teamwork, securing a well-needed point in the competition. The Korean national team will compete against France (rank 9) on August 13, and play the final preliminary match with Argentina (rank 29) on August 15. South Korea is currently ranked fifth in its group. A group is comprised of 6 countries, and the countries ranked first through fourth advance to the quarterfinals.